The Illawarra Plastic Modellers' Association (IPMA) was formed in 1983 by a small group of enthusiastic modellers wanting a place to "talk plastic" with likeminded souls. Today we remain a small group whose interests cover the entire range of plastic scale modelling, whether it be plastic scale kits of aircraft, cars, armour and military vehicles, boasts and ships, figures, science fiction and scratch building. We welcome modellers of all levels from juniors to experts and some of our work can be seen in the Gallery page. Our membership is open to anyone of any age with an interest in anything miniature who enjoys a club spirit where knowledge, skill and encouragement is always shared. We have members who travel from Sydney and as far south as Nowra so if you're in the Illawarra, Sydney, Southern Highlands' or the Shoalhaven come along and meet us. We hold monthly meetings to display and discuss our latest creations. At each meeting members generally bring along their current projects regardless of what stage they are at. The meetings are very informal with the official business kept to a minimum. Members and visitors are encouraged bring in their latest projects for others to inspect. Each meeting also includes an informal swap and sell where members and visitors can bring those unwanted kits, books and modelling bits and pieces to get rid of. Demonstrations of the different aspects of modelling, quizzes and regular club competitions are held during the year. If you would like to come along just turn up on the day or contact Darren Dickerson for more information. We meet (usually) on the first Saturday of the month at 12.30pm. But check below for exact meeting dates. At the Community Room at Stockland Shellharbour (South of Wollongong) N.S.W. Australia. 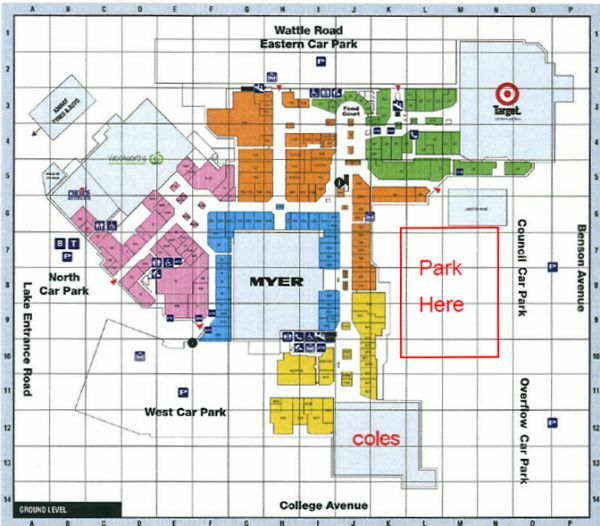 For those who know Stockland Shellharbour, best parking will in the car park adjacent to the Shellharbour Council Chambers. 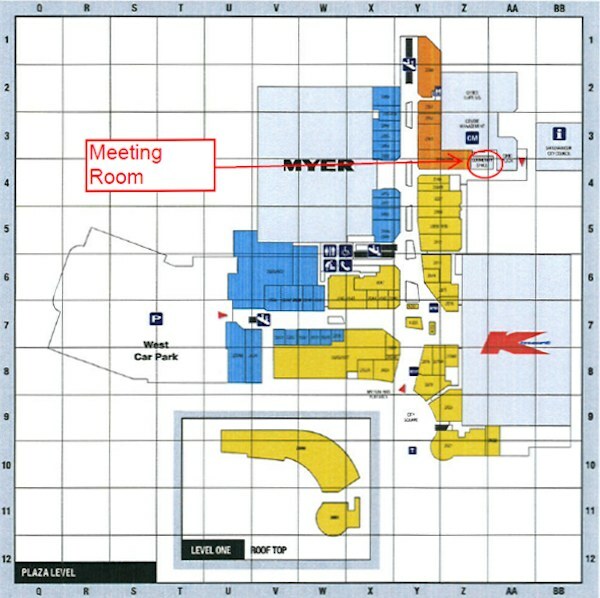 The community room is located on the plaza level of the shopping centre.